“Today we have a chance to revive the Green party in Italy and this is why the European and the Italian Greens are working together to make sure the current green wave settles in Italy as well,” Frassoni said. With about six months to go before the European elections, Greens are currently preparing a list bringing together representatives of diverse political parties as well as civil society. 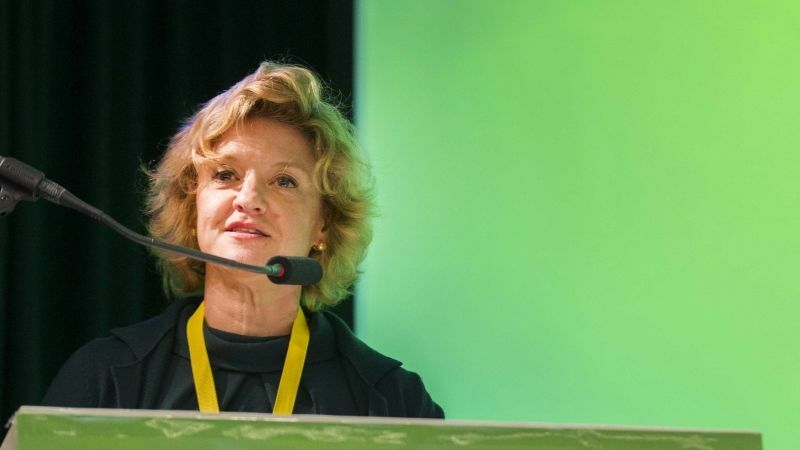 “Together with the European Greens and the Italian Greens, I am trying to gather an alliance that could include representatives of Possibile and Futura, as well as some members of parliament,” she said, describing the list as being open and plural. “As a government, you cannot operate like an NGO, you have to be able to create alliances, make compromises,” she explained. But that does not mean giving up on everything, contrary to what is happening now in the Five Star Movement, she continued. “This situation creates a major row within the Five Star Movement at the moment, but it also creates a new space for a green political initiative in Italy,” she said. This list focuses on three specific topics: The environment (i.e. climate change and ecology), an open society (social justice and rights) and feminism. “The representation of women in Italy is going through a major regression,” Frassoni underlined. The new initiative comes after Green parties did much better than expected in Germany, Luxembourg and Belgium, with the German Greens pursuing their onward trend: Polls released on 16 November show the party’s approval ratings reaching 23% of the population, a close second behind the conservatives of the CDU (26%) and well ahead of the social-democrats of the SPD (14%), who are now on the same level as the far-right AfD. In a vote it called “historic”, the Green Party ended the absolute majority of conservative Christian Social Union (CSU) in Bavaria on Sunday (14 October) and became the second strongest political force in a state election whose result will resonate in Berlin and beyond and further dent Chancellor Angela Merkel’s position. “Certainly, the green wave helps because there hasn’t been so much discussion around environmental issues and the Greens as today,” Frassoni commented. “There is definitely some movement and we try to connect the dots in Italy again, as it is obvious that the credibility of the Five Star Movement on environment is really not there,” she said. Frassoni, who is herself Italian, finds the current political situation in Italy particularly interesting. “Italians do connect the dots between ecology, open society and Europe, and the political discussion revolving around these issues are pretty high on the agenda right now,” she observed. Asked about the prospect of a Green success in Italy, Frassoni said she was more committed than optimistic. Her cautiousness can be explained by the current political landscape in Italy, where strong environmental organisations exist but do not necessarily succeed to translate grassroots engagement in the ballot box. “For a long time, you did not have any interest from the media or from the political parties on environmental issues. The Partito Democratico and the other major political forces never took up these issues as constitutive of their own agenda,” she said. This is in stark contrast to the very strong environmental movement which has taken hold in Italy. “You have an organisation like Legambiente which is very strong. You also find numerous environmental organisations at the local level that fight against pollution or big infrastructure projects. These are real people movements,” she said. But there is more than the state of play of the current political discourse in Italy. Frassoni described what she termed “the perfect storm” that hit the Italian Green party in 2007-2008 and from which it still wasn’t able to recover. “We were struggling as a political party within the institutions to bring about issues that were not popular and that were not taken up by the media,” she said. In addition, there was a change in the electoral laws which Frassoni said was detrimental to the Italian Green party. “Then, compared to the German Green party and others, we had internal organisation problems, we did not promote the best people to lead the Greens,” she said. “And on top of this, the environmental movement rejected us,” she added. Contrary to countries like Spain, France or Germany, NGO leaders do not eventually join the Italian Green party, Frassoni explained. “Many within the green movement declined to join us. They were working with us but didn’t want to mingle and this weakened us a lot,” she said. The European Greens co-chair put it down to the environmental organisations’ participation in the anti-establishment, anti-politics movement. “All this basically pushed us out of the picture in terms of institutional representation. And in Italy, if you are not in the institutions, it is very difficult to get financial support and visibility,” she pointed out. “It is therefore not surprising that despite the recent Green wave, there is little visibility for the Greens in Italy. And the only one who is coming out a little bit is me, but I am in Europe,” Frassoni said. “Really, we hit the perfect storm. This happened between 2007 and 2008 and since then, we were never able to get up”. Frassoni will open the European Greens Council on 23 November, together with Annalena Baerbock, co-chair of the German Greens Bündnis 90 / Die Grünen, and Ramona Pop, Deputy Governing mayor of Berlin. 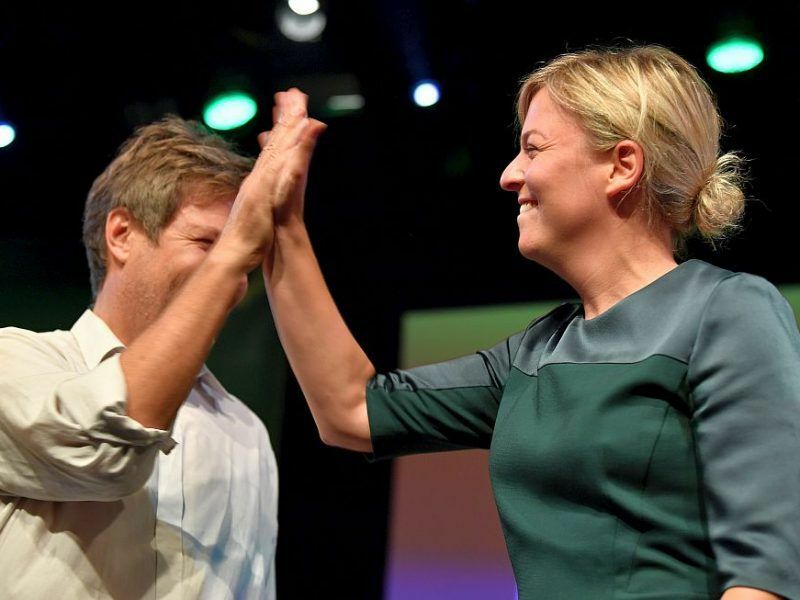 Delegates will elect the two leading candidates, or Spitzenkandidaten, who will represent the Green party for the European elections in May 2019. They are also expected to adopt the European Greens’ political programme, which is to be declined in 12 points and presented as a Manifesto. Leading candidates are Petra De Sutter, nominated by Groen (Belgium), MEP Bas Eickhout, nominated by GroenLinks (The Netherlands) and MEP Ska Keller, nominated by Bündnis 90/Die Grünen (Germany). The vote is scheduled for Sunday, 25 November.